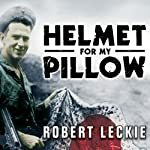 This and Eugene Sledge's book might be the two best books on the war in the Pacific. This is not a new novel..but still entertaining. I was so disappointed when I found out that this novel was decades old. From the Cold War Era. And then, I started listening. I was a great listen. It still packs a punch. The character development was good. 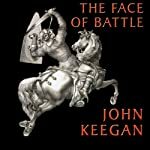 I had reservations about listening to John Keegan on audiobook because he is so academic and studied (nobody wants to hear a science textbook read aloud)...and yet this was a great book. Keegan is THE expert when it comes to combat and war as a subject of academic study. And Simon Vance is a great narrator. 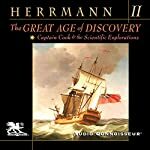 Not only was this audiobook a way to relax and spent a few hours while walking, but it was very educational as well. Sarcasm with a theological point. Delightful. And yet, this was a delightful book. It is not mocking Christianity. 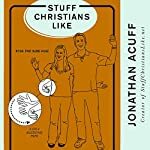 Rather, it makes theological points in a humorous way, pointing out the inconsistencies we are sometimes guilty of. Some of the points are pretty profound.. I usually don't think it is a good idea for authors to narrate their own works (usually a recipe for disaster)..but this time it works. The content had great potential - Tyndale is a great hero. ..... 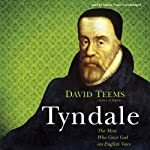 I wish he had stuck closer to the narrative of Tyndale's life and stayed away from these musings. The book could have been half as short and should have been more of a strict biography. I am glad some of Tyndale's own letters were included. He is a powerful writer, even today. 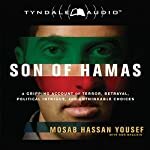 I thought the arab-accented narrator (the narrator IS the author...) would distract me...but he did only for the first 20 seconds. 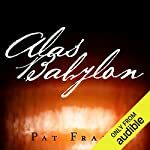 It is almost always a bad choice for an author to narrate his own book....but this author did a good job. I think his accent actually helped the narration and it was very good. This might be the very best in terms of both story and narration. I listen to audiobooks while I run (more like a slow plod), and I almost ran a 10k every day just to get a chance to be alone with this book. This is a well-written book. The content is fascinating. Though most anthropologists would not support the author's theory of Incan settlement of Polynesia. The narration was pretty good. I was interested throughout, even though this can be a hefty tome. During the initial minutes of each chapter, I would have to pay particular attention because the opening lines of each new account only slowly revealed info about the historical players, and the accounts do not read like wickipedia enries but unroll inductively instead of a summary of the main details being given first followed by finer details. In some places I had trouble tracking who was who. My picture of history was greatly enlarged. Non-western discoverers were not covered; but this was still a great book on western exploration. 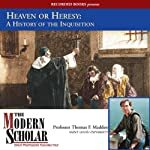 While classroom lectures are not as well-read as some of the Times Bestseller fiction novels, the teacher doesn't do a bad job and gives great info on the Inquisition. Most importantly, one is able to try to understand WHY a sane person would support such a practice. From this vantage point of history, the Inquisitors seem out of their skulls, but I appreciated the professor's lectures precisely because the picture that came through was of rational men taking their beliefs to a logical end. It was enlightening to try to get into their shoes. The lectures kept me interested. I suspect Dr. Madden is a strong Catholic, but every author and every teacher is biased. 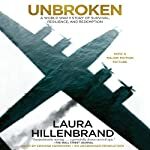 This will be an audiobook hard to forget for me. 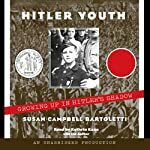 Good narration, great research and an enthralling subject.